Hosta 'Fantasy Island' is not related to yesterday's hosta 'Fire Island'. 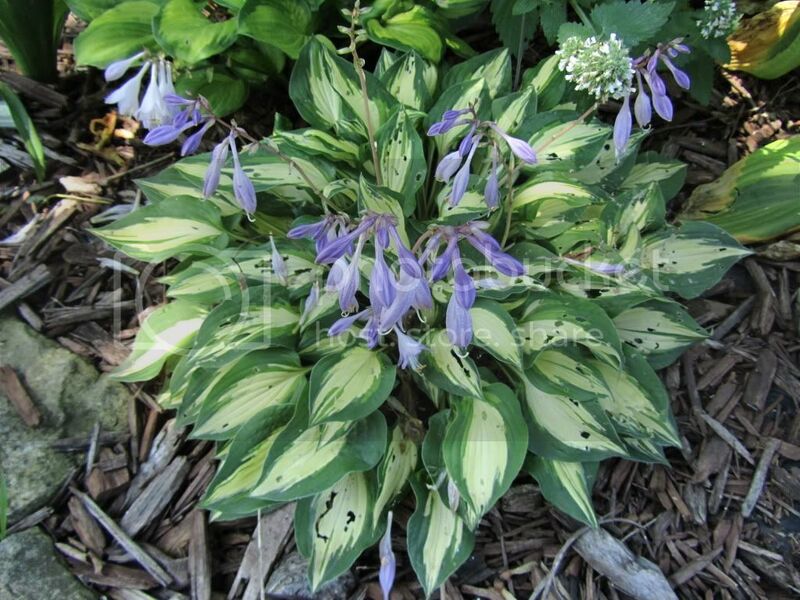 However, it is a very cute, small hosta that's sure to steal your heart. 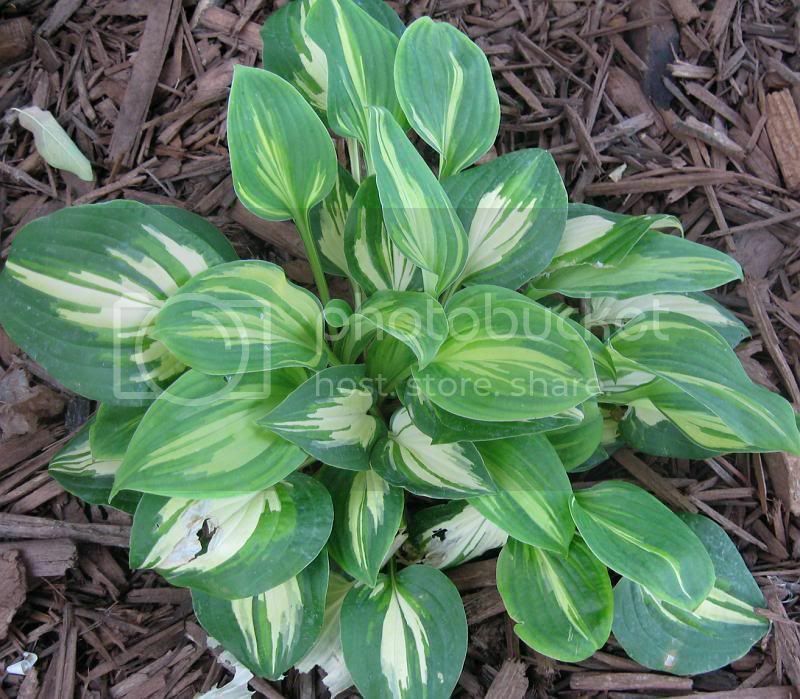 It's another tri-color hosta, since the center is white, and it's irregular green margin is both dark and light green. This hosta has pinkish colored stems and vivid flowers. As you can see from the pictures below, both the slugs and the hail really like the white centers of the this hosta. So while you'll want to put it in the front of the border so it's not overwhelmed by larger hostas, it doesn't always look the best by the end of the summer.